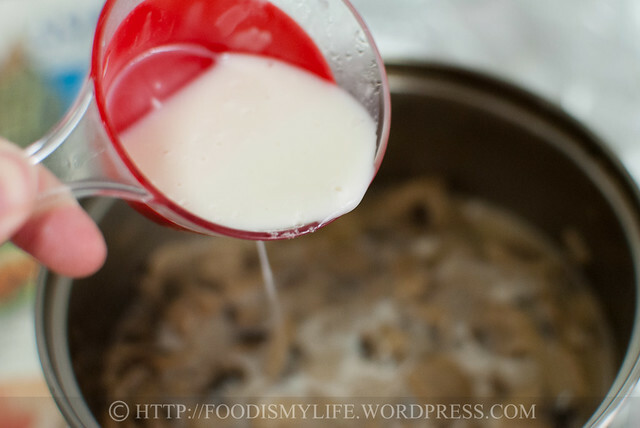 This very easy, very quick and very delicious mushroom sauce changed my life, completely. Okay that’s a total exaggeration, but well, at least I no longer have to go and buy those pre-made sauces for steaks (God knows what’s in there). I can make this sauce myself, at the comfort of my own home, with pantry ingredients (okay you probably need to grab the mushrooms and milk/cream from the market, but yea you get the idea, right?) And the sauce tastes so good, so spoon-licking good that I can’t stop eating it right out from the pot (even before I started cooking my steaks). 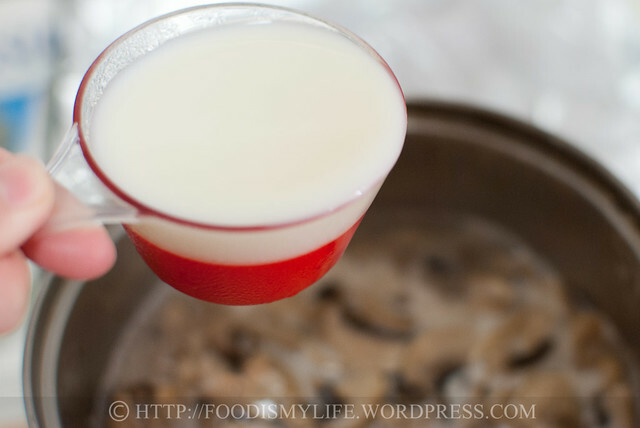 The version in the photos was made with milk, thickened with cornflour – so it’s a little viscous but still liquidy. If all cream (no cornflour is needed) is used, not only will it be more viscous, the taste will also be richer and creamier. I think it depends on how creamy you like it. 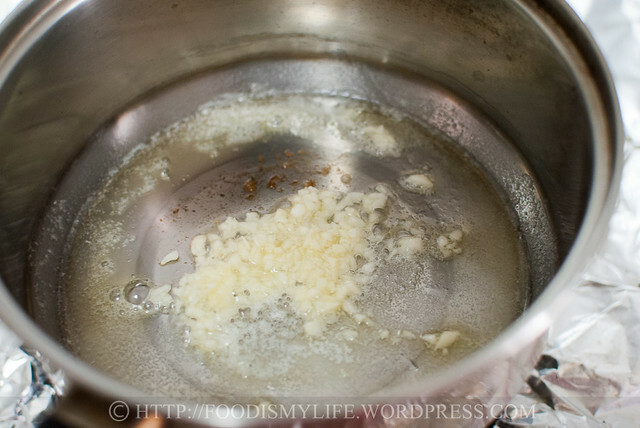 Start off by heating some butter and olive oil in a small pot. Add in minced garlic and fry until lightly golden and fragrant. 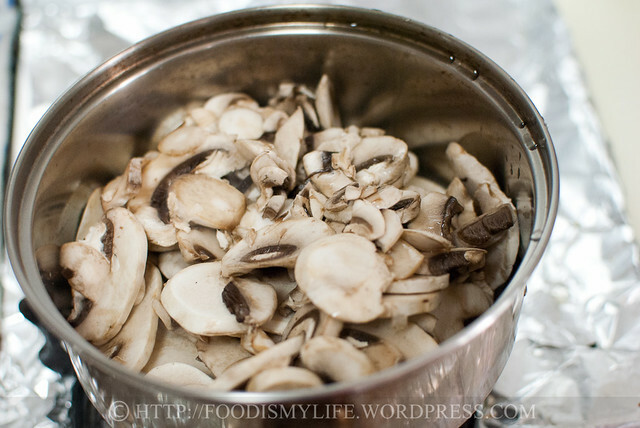 Fry until the mushrooms have softened, shrank in size and have released the mushroom juices. 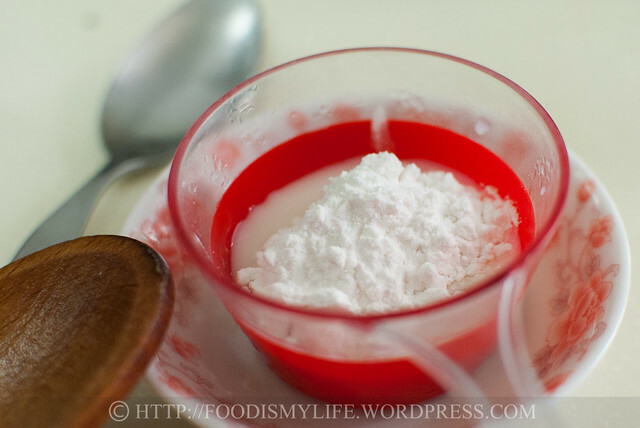 Dissolve cornflour into more milk. Add in the cornflour-milk mixture. Cook until the sauce has thickened and season well with salt and black pepper. Serve over piping hot steaks and serve with some creamy potato-carrot mash! I’m submitting this to Bizzy Bake’s Recipe Box #20! 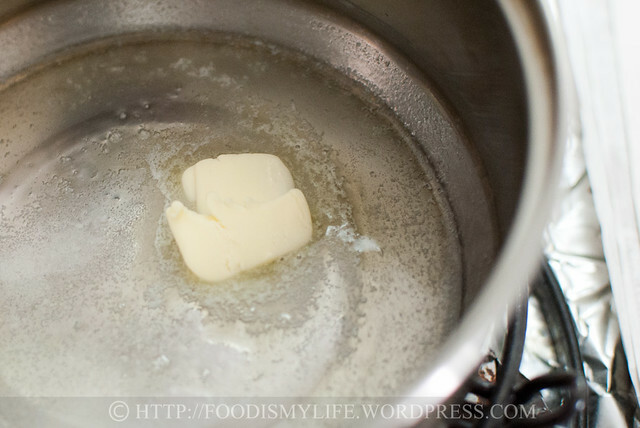 Heat oil and butter in a pot over medium heat until the butter has melted. Add in the garlic and stir constantly for 1 minute until fragrant. Add in the sliced mushrooms and stir-fry until the mushrooms are lightly browned and have reduced in size - about 5 minutes. Add in 75 ml of the milk and bring to a boil, then turn down the heat and simmer for another 3 minutes, stirring occasionally. Dissolve the corn flour in the remaining milk and drizzle it into the sauce, simmering for another 2 minutes or until the sauce has thickened. Season with salt and black pepper to taste. Serve immediately over the cooked steaks. If not, cover and heat up when needed. For even better results, replace the milk with thickened cream and omit the corn flour. 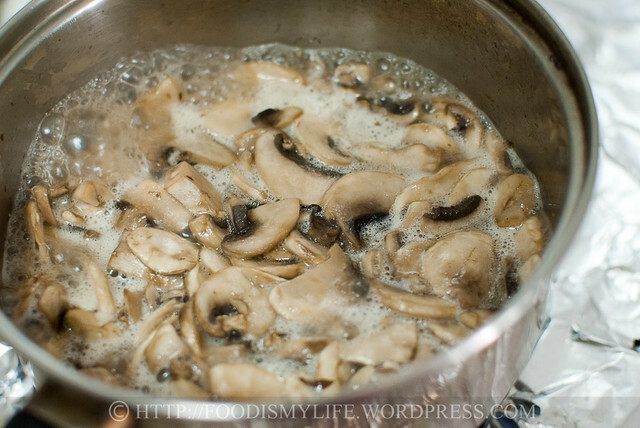 Simmer the cream and the mushrooms together over low heat and make sure the cream doesn’t overboil. The sauce is also delicious over mashed potatoes! 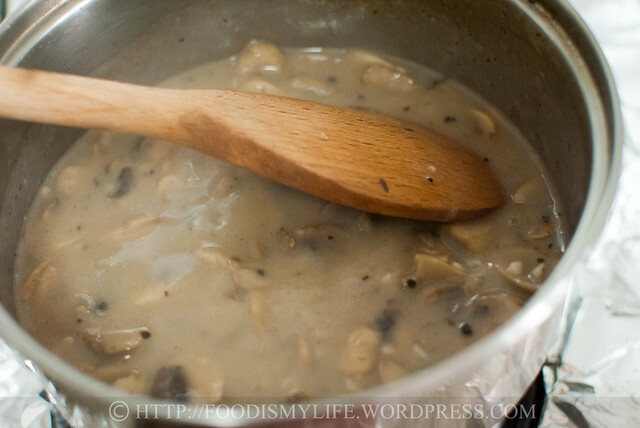 Add more black pepper to make it into a Black Pepper Mushroom Sauce! Thank you Rita, for trying the sauce and letting me know you guys love it! Have a great day! Love your recipe.. My daughter is soo excited.. Thanks a lot.. Thank you John! I’m so happy you love the recipe, have an awesome week ahead! Steak is always better with sauce. I love this! Hi Jasline, thank you so much for posting this recipe. I wanted to make a mushroom sauce for dinner tonight and forget the cream on my shopping list. I am so happy to see I can make a mushroom sauce with milk instead. Going to try it out now for dinner. Wish me the best. Regards, Vidya, Singapore. Hi Vidya, I really hope you’d like the mushroom sauce! It won’t be as good as the cream one but in a pinch it should work! Can i just use cream ! Of course you can use cream. 🙂 Replace the milk with an equal amount of cream and omit the cornstarch. Looks great and easy to adapt for single-serving cooking too! Thanks! It looks and sounds great 🙂 I think I’m going to try it with cream. Thanks for sharing! Oh yum! I could eat it with bread! 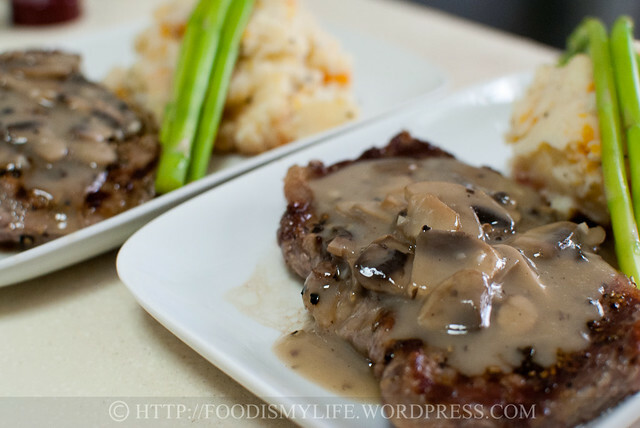 Love mushroom sauce! 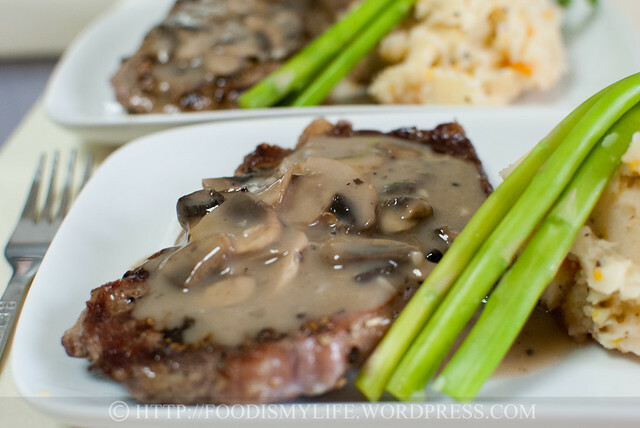 A good mushroom sauce is a great accompaniment for steak. Being able to prepare yours in 15 minutes makes it just about perfect. I’ll definitely give this a try. You had me imagining pouring it “piping hot” over my own steaks! I wish!, this is a great “go to” recipe! Thanks! What a tasty and quick sauce! 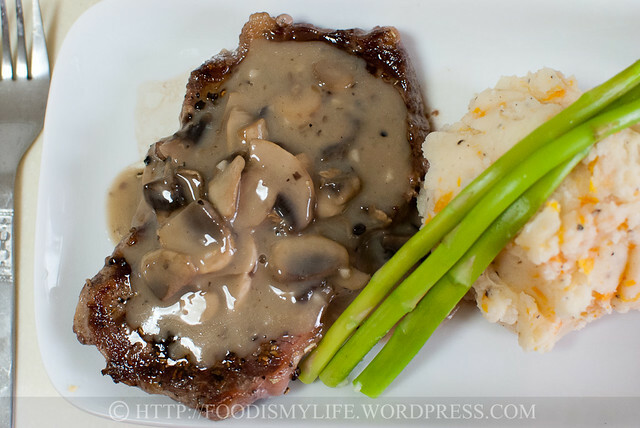 Love mushrooms and mushroom gravy, this is so easy it is one of those ah-ha moments, why didn’t I think of this before!!! This looks really great and I think it would fit perfectly with dumplings, too! Thanks for the recipe. I really like mushroom sauce, I think also on chicken I would love it!